Clark Seif Clark provides environmental testing and consulting services to identify and resolve cases involving occupational allergens. An allergic reaction may occur when an allergen comes in contact with a worker through common exposure routes such as skin contact, inhalation or ingestion. It may be hard for everyone to accept, but some people are actually allergic to their work. For countless employees in a wide range of professions, occupational allergens can make it difficult, if not impossible, to be a productive employee. Occupational allergies occur when a worker is exposed to a substance or substances that cause them to have an allergic reaction. 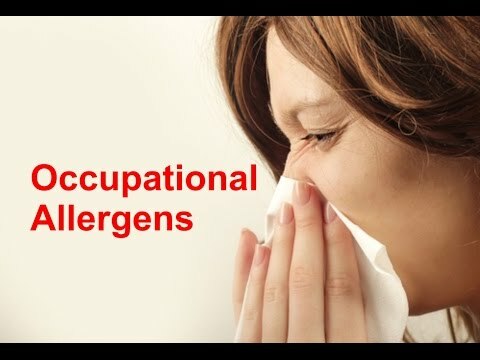 The situation may be the result of environmental allergens already in the workplace, such as mold in a water damaged office building, or due to activities that expose workers to allergens from materials they come into contact with because of their profession. These reactions can be mild or severe, and in some extreme circumstances could even be life threatening. Long-term exposure to allergens can even result in asthma in some people. Some of the more common environmental allergens workers may be exposed to include everything from mold, pollen, latex and dust mites to allergens associated with pets, cockroaches and rodents. While many people are aware of these allergens, there are also many others that employees may not readily recognize. These include substances such as formaldehyde; isocyanates; chromium, nickel and cobalt; and wood and floor dusts to name just a few out of hundreds. To learn more about this or other indoor air quality, occupational, environmental, health and safety testing services, please visit www.csceng.com, email csc@csceng.com or call (800) 807-1118.